If you’ve only got access to the Australian version then there is one thing you definitely want to do – unblock Netflix! Not everyone knows this, but your Aussie Netflix account can actually access all the different content available in the overseas versions of Netflix, for example the USA or the UK or Canadian versions. They have set their accounts up so that if you went travelling overseas and logged in you would have instant access to that version of their content library. Makes sense right? The good news is that with a bit of easy technical wizardry you can actually make your internet connection appear as if it’s overseas, and trick Netflix into letting you into their entire catalogue – now that’s the unblock Netflix I’m talking about! It is as simple as using a DNS redirection service. This tool makes your connection look like it is overseas at the exact moment it connects to the Netflix server. This allows you access to the content they have on offer for that region. The tool then reverts back to your normal Australian internet connection, so you don’t suffer from slow speeds and poor quality like you normally would if you were to use a VPN service instead. A good DNS redirection tool to use is Unblock-Us – they have a free trial so you can check it out and see what you think. They also have detailed guides on their site to set things up. There are also plenty of guides on this site on how to go about doing this, so please check them out and do yourself a favour – unblock Netflix today. 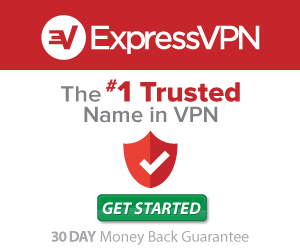 ExpressVPN allows you to make your internet connection appear to be in the USA, giving you access to the US Netflix library. Save a whopping 49% on the annual subscription by using the banner below. This deal is exclusive to this site. A 30-day money back guarantee means you can test it and confirm it works at no risk to you. This site is an unofficial guide to Netflix in Australia. It's run by a bunch of Netflix fans, we do our best to keep it up to date and accurate. netflixaustralia.org is not affiliated with or endorsed by Netflix. All trademarks are copyright of their respective owners. It is the consumers responsibility to read and follow the terms and conditions of Netflix. netflixaustralia.org do not provide any service and is purely for informational purposes only.